Journal of Victorian Culture, 17:2, (2012), pp. 238-246. 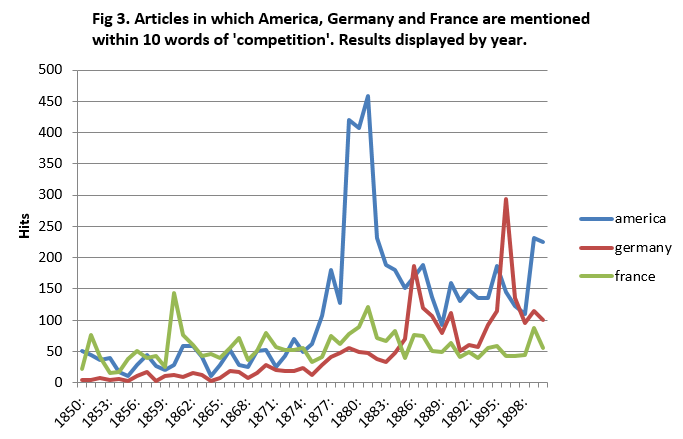 Cultural historians don’t like graphs. The linguistic turn and the advent of postmodernism have made us much more comfortable with the ambiguity, plurality and subjectivity of ‘texts’, but correspondingly suspicious about the rigidity of numbers. Rather than search for material or (dare one say it?) objective truths backed by hard data, we prefer to track the emergence of ideas, analyse representations, deconstruct discourse and develop nuanced interpretations of past cultures that can rarely be expressed in quantitative terms. This approach has served us well. Qualitative readings of Victorian culture have provided countless new insights into the ideas that shaped the period. It would be difficult to argue, for example, that Judith Walkowitz’s seminal study of sexuality in fin-de-siècle London would have been enriched by a pie chart. However, it is important to recognise that methodologies based on the close reading of Victorian culture have an important limitation. Put simply, there is too much of it to read. Google’s extensive (though by no means exhaustive) database currently lists at least 1.6 million books published in nineteenth-century Britain. To this we must add millions of pages of newspapers, magazines, periodicals, pamphlets, playbooks, advertisements, and other forms of printed ephemera. Even the most devoted scholars of the period will only read a fraction of this total. Faced with this mountain of print, we have two choices: to continue subjecting tiny fragments of Victorian culture to close reading, or to supplement this approach by exploring a much larger proportion of the archive through ‘distant reading’. This article offers a practical guide on how this kind of ‘distant reading’ might be accomplished.